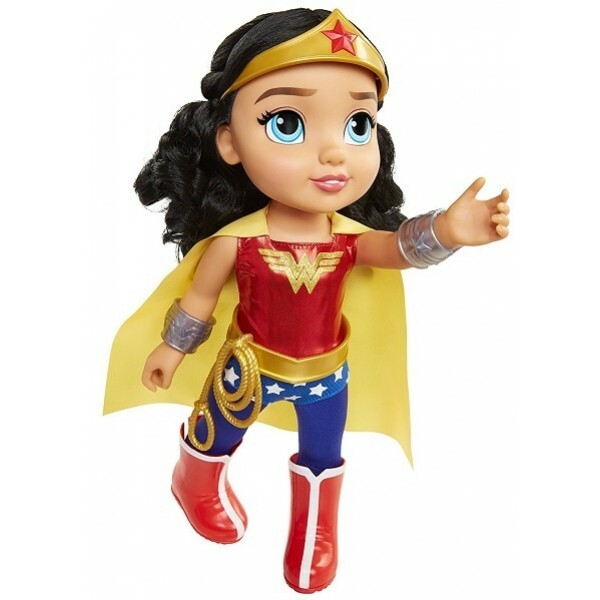 The DC Super Hero Girls 15-inch Wonder Woman toddler girl is ready for lots of fun action! 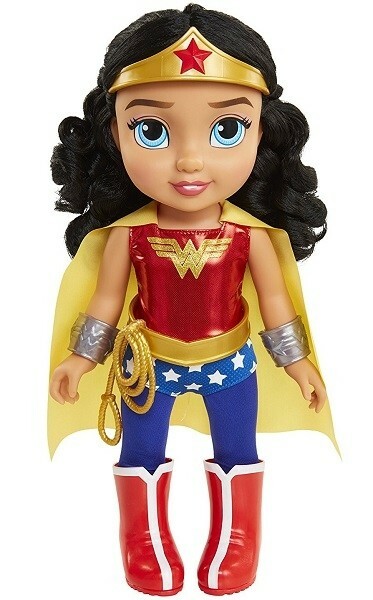 This articulated doll can sit and stand on its own, and its size makes it just right for younger fans of this DC super hero. 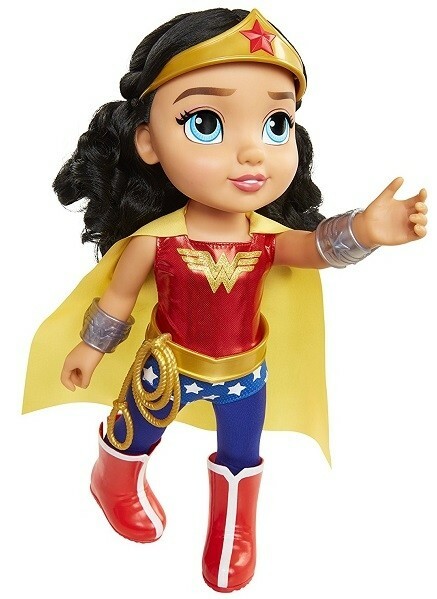 A one-piece version of Wonder Woman's iconic outfit has a Velcro closure in the back for easy removal. The plastic belt, cuffs, and boots are also easily removable. A tiara with a red star and rooted hair completes the package.